The epic account of James Bond's exploits during World War II continues, by superstar JEFF PARKER (Suicide Squad, Fantastic Four) and BOB Q (The Lone Ranger)! 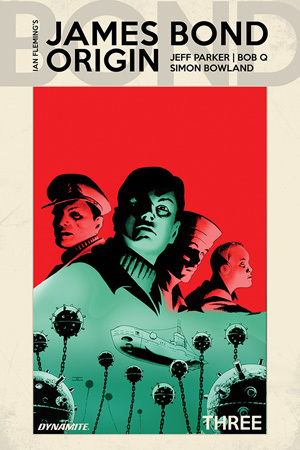 Aboard a Royal Navy submarine, Lieutenant James Bond and crew encounter deadly German warships and bombers! Can the British crew keep their nerve and evade...or will they sink into a watery grave?